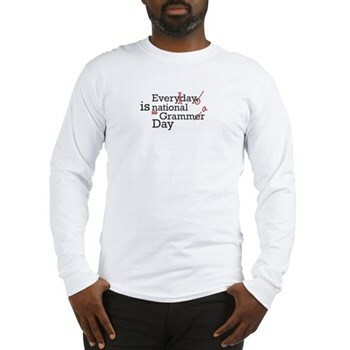 It's National Grammar day - how on earth did I miss this?? For those of you who somehow missed the memo: I love grammar. Love it. I like things to be grammatically correct, I like to correct grammatical mistakes, I like having my grammar corrected, and I like talking about grammar things. Yes, I am that much of a nerd. And last, but certainly not least, I whole-heartedly recommend Lynne Truss' book: Eats, Shoots and Leaves: The Zero Tolerance Approach to Punctuation (and the New Yorker's fun review of it). Enjoy, all you grammarphobes. March forth!